The murderer, Bruce Fuller has been walking free since August 10, 2011 and has yet to be charged or arrested. The case has since been under investigation by the Maitland Police Department and the District Attorney of Orange County of Florida. The grieving parents and other family members are very upset at the slow pace of investigation. They want to bring the killer to justice as soon as possible in order to bring some peace and closure in their life. The only way to expedite the process is by filing a Petition signed by at least 2,000 people. 1,224 signatures have been collected. However, 800 more signatures are still needed. Let’s all try to bring closure expeditiously to a horrible chapter in the life of the Alams. Please Click here to sign a petition for justice for Furrukh Shan Alam. Your prompt attention and immediate action to resolve this miserable situation will be greatly appreciated. Please do me a very big favor and also forward this email to all your friends, other family members and acquaintances for a quick resolution in this matter. Thank you so very much for your great humanitarian gesture. May Allah bless you all.A tragedy had struck the happy family of Mahfooz and Farzana Alam on August 10, 2011 when their young son, Furrukh Shan Alam was shot to death in a Florida home during a business trip. Furrukh S. Alam was unarmed and the murder weapon belonged to the murderer, Bruce Fuller who called the police and admitted shooting and killing Furrukh Alam, but in self defense. There were no eye witnesses. Shortly after, the body of Furrukh Alam was brought and laid to rest in California. Personally I know Mahfooz Alam in Los Angeles since the late sixties. 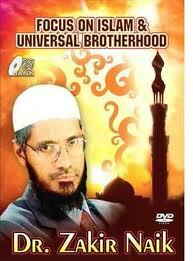 He has been one of the most senior and a very active member of the Muslim community in Southern California. His wife Farzana and my deceased wife, Shahana had attended the same college in Karachi, Pakistan. I remember distinctly, the entire Alam family was very happy at the Valima reception of Furrukh Alam. Especially, Br Mahfooz Alam was jubilant at the fact that the name of his daughter in law is the same as his wife, Farzana. He told me and Shahana,”When I call Farzana aloud at home, both my wife and my daughter in law come running to help me out. I am so lucky.” May Almighty Allah bring peace and justice to the Alam family very soon. Ameen! The Asian continent is where economic power is shifting from Western Europe and North America. China, India, and South Korea dealt with the global financial crisis of 2007-8 better than many European states. China is already the second largest world economy; India is noted for having pulled a hundred million people out of extreme poverty. These are impressive achievements even as both China and India are showing signs of a slowdown and the latter still has 450 million people below the poverty line. Interestingly, China achieved phenomenal economic success without giving up the authoritarian grip of the communist party on power; India has taken great strides forward in the din of its rather chaotic democratic politics. The Asians seem to be able to work any economic model with aplomb. Economic achievements, however, are not matched by success in creating a harmonious political order in Asia. Bandung’s five principles of coexistence (Panch Sheela) have not led to a resolution of contentious issues left behind by the colonial era. India and Pakistan are the prime examples of this failure as they have fought wars and staged huge military confrontations short of war. China has not been able to settle the border with India not only because of differing territorial claims but also because of unstated approaches to Tibet. Many Asian analysts argue that the worst violence seen by the continent came from armed interventions by outside powers — the French colonial war in Indo-China, taken over later by the United States; Soviet invasion of Afghanistan; Israel’s western-backed occupation of Palestine and other invasions of Arab lands; Saddam Hussain’s western-inspired invasion of Iran and American military interventions in Afghanistan and Iraq. According to this interpretation of Asian history, India-Pakistan conflicts were made more intractable by their conflicting alignments with opposing global power blocs during the Cold War. The major Asian countries are spending staggering amounts of money on the acquisition and production of arms. China’s gross defence outlay is larger than that of India though, according to Jane’s Defence Weekly, India’s aggregate defence procurement spending between 2011 and 2015 would exceed $100 billion (Dh367 billion). Cash-strapped Pakistan still feels obliged to commit an unaffordable percentage of GDP to national security. Very often, defence expenditures are driven not by real threats but the perception of ruling elites that military power is vital to national esteem, sense of identity and, above all, to the creation of spheres of influence. As emblems of Asia’s militarisation, indigenously manufactured or purchased missiles abound. International commentaries on the Indian missile test of April 19 highlighted the Indian capability to hit Beijing and China’s great economic hub, Shanghai, with conventional or nuclear weapons. It altered the old maxim that large scale warfare between India and China across the Himalayas was impossible. By testing Agni-V, India has joined the exclusive club of powers capable of producing inter-continental ballistic missiles. It also demonstrated its capability for an ambitious space programme. India already possessed Pakistan-specific Prithvi series, medium-range Agni series and other effective systems. It can launch conventional and nuclear weapons from land, air and sea. Outclassed in conventional forces, Pakistan has developed a range of nuclear-capable missiles that effectively counter-balance India. Its medium range Hatf series and a cruise missile can reach most targets in India. 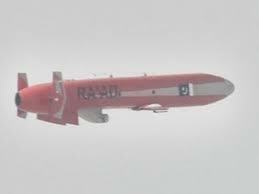 Pakistan’s latest test of an improved Hatf-Shaheen A-1 missile was carried out only six days after the Indian test. It is also building short range missiles like the 60-km Nasr, an entry into the tactical weapons field to bolster its deterrence. Hit hard by Iraq’s Scud missiles, Iranian planners took up missile projects with vengeance. While Iran’s nuclear programme has mysteries, it practices high transparency in missile development as a deterrent-enhancer. Iran’s Shahab-3 missile and the Sejjil series cover the Gulf region well and can reach targets in Israel. Of particular interest to Iran’s neighbours and other maritime nations is its arsenal of surface to sea missiles. Iran’s Safir rocket has lifted satellites into space and can, theoretically, lead to long range missiles. Just as India and Pakistan have reached a theatre balance, the regional Arab states are investing heavily in purchasing western missile systems for delivery and interception. Consider that external actors do not necessarily seek early reduction of tensions. Washington wants to de-fang North Korea and expects a regime change prior to reconciliation between the two Korean states. It wants India to share the strategic burden of limiting Chinese outreach and influence. Its Iran policy is very complex; its arms deals with Arab states constrain Iranian ambitions and weaken the grip of hawkish elements in the Iranian state. Iran is probably still the main prize that Washington wants to win by diplomacy, coercion or even a limited war. Deterrence stability has served India and Pakistan well. It can also be effective in the Gulf region. The pre-condition is robust diplomatic engagement between Iran and the GCC states under a strategic overhang. In the final analysis, missiles will end up as promoters of peace or as instruments of huge damage depending upon how human agents negotiate present differences. Tanvir Ahmad Khan is a former Pakistani foreign secretary and ambassador to several states. 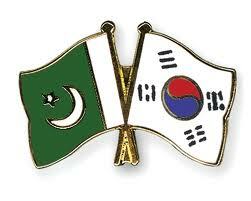 Regarding Pakistan, the rationale of South Korean Official Development Assistance (ODA) and cooperation is not only limited to humanitarian responsibility, rising global issues and increased interdependence among states, rather it is more focused on the responsibility as a past recipient of development assistance from the world including Pakistan in times of need in the 1960s. The average economic growth rate of Pakistan was higher than the average of the world economy during the 1960s. Average annual real GDP growth was 6.8 percent at that time. During the same period, Pakistan was seen as a model of economic development around the world, and there was much praise for its economic progress. Karachi (the largest coastal city of Pakistan) was seen as a global economic role model, and there was much praise for the way its economy was progressing. Many countries sought to emulate Pakistan’s economic planning strategy and one of them was South Korea, which replicated the second “Five-Year Plan.” The World Financial Center in Seoul was designed and modeled after Karachi. It is said that Dr. Mahbub ul Haq, a renowned Pakistani economist and the originator of the Human Development Index (HDI), gave this plan to South Korea which helped it to progress rapidly. At present, many countries envy South Korea, which has progressed in all spheres of national development and ranks as the 26th country in the world with a very high HDI (0.937) as compared to Pakistan which stands at 141st with a medium HDI (0.572) as per the Human Development Report (HDR) 2009 issued by the United Nations Development Program (UNDP). South Korea graduated from the World Bank’s lending list in 1995 and became a member of OECD donor countries the year after. Pakistan is still striving hard to pass from the lending list of donor agencies. Therefore, the most valuable asset of South Korea is its experience in making the transition from aid recipient to an emerging donor. Given the contemporary situation of both countries, Pakistan is also keen to replicate this transformative model and the South Korean government has reciprocated by providing opportunities to Pakistan through various programs under its ODA program and through other cooperation. The Republic of Korea has provided $20.75 million in aid ($15.94 million in grants and $4.81 million in loans) since 1991 to assist in the development of Pakistan. Both countries have cooperated on various development activities and have many excellent illustrations for this. The construction of the Islamabad-Lahore (two major cities of Pakistan) motorway (M2) is one of them. The construction of the M2 has not only vitalized communication between the two important cities, but also contributed to the enhancement of road construction technology for domestic Pakistani engineers and mechanics that later became able to pursue their own projects without outside help. It is very encouraging that there are growing numbers of Korean enterprises which are interested in seeking investment opportunities in Pakistan. KP Chemical Corporation, a subsidiary of the South Korean conglomerate Lotte, completed its acquisition of a majority shareholding in Pakistan PTA Ltd (PPTA), investing more than $75 million. In addition to that, the Korean International Cooperation Agency (KOICA) has planned to invite more Pakistani officials to Korea for capacity building. Some 100 officials will be invited in 2010, and the number will be doubled to 200 in 2011 and 2012. Country-focused programs will be established to cater for the specific needs of Pakistan. It is envisaged that in the years to come South Korea will continue reciprocating its assistance and cooperation to Pakistan to an extent that the country will set a worldwide example for countries world that have graduated from the recipients list. Muhammad Nadeem is a management consultant serving in the public sector organization of Pakistan. He stayed in Republic of Korea recently for training at Central Officials Training Institute (COTI) arranged by the Korea International Cooperation Agency (KOICA) for public sector officials of the member states of the South Asian Association for Regional Cooperation (SAARC). He can be reached at nadeemj@yahoo.com. Was South Korea’s Success Produced By Industrial Policy or Entrepreneurship? The success of South Korea’s economy in the past 50 years has been remarkable. In 1962 South Korea was among the poorer of the world’s nations, with a per capita income less than Zaire, Congo, and Sudan, and in the next three decades South Korea experienced a growth miracle in which real per capita income increased by about 20 times. In contrast, real per capita income in the United States was about seven times larger at the end of the twentieth century than at the beginning. In percentage terms South Korea’s economic growth in a third of a century far outstripped a century’s worth of US economic growth. This remarkable economic growth began roughly at the same time as President Park’s Third Republic which was established by a military coup in 1961. President Park designed an economy based on exports. He nationalized banks and set export targets, rewarding those businesspeople who exceeded their targets. High performers were rewarded with economic support such as low-interest loans and import licenses that would boost their profits. Imports were tightly controlled, exports were subsidized, but exporters were free to import their inputs, duty-free. By the time President Park was assassinated in 1979, South Korea had been growing at nearly 10% a year for a decade and a half. South Korea’s success in steel production, ship building, automobiles, and eventually electronics moved the nation from the ranks of the poverty-stricken to one of the world’s leading industrial economies. All of this occurred as the government maintained its policies of supporting successful exporters through financial and regulatory means, lending support to the argument that South Korea’s rapid economic growth was a product of its industrial policy. The idea that industrial policy works by supporting firms that have the potential to be competitive in international markets must be founded on the idea that the government can identify those firms that have this potential. In South Korea firms that were favored by industrial policy were those that were able to demonstrate their ability to export in world markets. What caused successful firms to be successful, and therefore to be favored by the nation’s industrial policy? The answer is entrepreneurship. Firms that were entrepreneurial, that were able to innovate in their production processes by keeping their costs low, and that were able to innovate in their output by producing what consumers wanted, could be competitive in world markets. The initial advantage was produced by entrepreneurship, not be industrial policy. South Korea had another initial advantage, which was cheap labor, but not all firms were able to use lower labor costs to their advantage. Successful entrepreneurship was what gained firms an edge, and once that edge was demonstrated through their exports; those firms gained further advantages through industrial policy. In the short run this strategy appears to pay off, because the firms that are the most innovative are the firms that gain additional advantages, which allows them to grow even more than they could have if they were only able to rely on market forces. But innovative firms already have an advantage, and while their initial growth might have been slower without the aid of industrial policy, not only would innovative firms have continued to prosper and grow, they would retain the incentive to be entrepreneurial, because they would only be able to stay on top by being more entrepreneurial than their rivals, both inside and outside South Korea. If they are subsidized by industrial policy, this gives them some slack, and they can remain competitive even if they no longer remain on the cutting edge, because of the advantages they get through government policy. Industrial policy has two disadvantages. First, it takes away some of the incentive to be entrepreneurial within those firms that industrial policy favors, and second, it makes it more difficult for new firms that may be even more innovative to compete against established firms that have an advantage on an unlevel playing field. For both these reasons, industrial policy has the long-run effect of slowing innovation, and works against the very economic growth it tries to produce. Entrepreneurship and innovation brings with it risk-taking. To stay on top of an ever-changing world market, firms cannot be content to rest on their past achievements, but must innovate. Sometimes those risks pay off; sometimes they do not. Industrial policy gives firms government-granted advantages, which means that firms do not have to take on as much risk, or be as innovative, as whey would without the government support. In the short run the policy appears to be working because the subsidies go to the firms that have already demonstrated their entrepreneurial nature. In the long run it distorts incentives and will reduce growth. But one key point to see, if one pictures industrial policy as the government’s picking winners and helping them to succeed, is that the government cannot spot those winners until the favored firms have already distinguished themselves through their entrepreneurial actions. It is entrepreneurship, not industrial policy, that provides the initial edge. Once firms find themselves in favored positions industrial policy works against entrepreneurship and continued progress. Firms that were in the cutting edge in the past will not necessarily be the future innovators. Industrial policy has two disadvantages. First, it takes away some of the incentive to be entrepreneurial within those firms that industrial policy favors, and second, it makes it more difficult for new firms that may be even more innovative to compete against established firms that have an advantage on an uneven playing field. For both these reasons, industrial policy has the long-run effect of slowing innovation, and works against the very economic growth it tries to produce. Entrepreneurship and innovation brings with it risk-taking. To stay on top of an ever-changing world market, firms cannot be content to rest on their past achievements, but must innovate. Sometimes those risks pay off; sometimes they do not. Industrial policy gives firms government-granted advantages, which means that firms do not have to take on as much risk, or be as innovative, as whey would without the government support. Arabic mathematics : forgotten brilliance? Recent research paints a new picture of the debt that we owe to Arabic/Islamic mathematics. Certainly many of the ideas which were previously thought to have been brilliant new conceptions due to European mathematicians of the sixteenth, seventeenth and eighteenth centuries are now known to have been developed by Arabic/Islamic mathematicians around four centuries earlier. In many respects the mathematics studied today is far closer in style to that of the Arabic/Islamic contribution than to that of the Greeks. There is a widely held view that, after a brilliant period for mathematics when the Greeks laid the foundations for modern mathematics, there was a period of stagnation before the Europeans took over where the Greeks left off at the beginning of the sixteenth century. The common perception of the period of 1000 years or so between the ancient Greeks and the European Renaissance is that little happened in the world of mathematics except that some Arabic translations of Greek texts were made which preserved the Greek learning so that it was available to the Europeans at the beginning of the sixteenth century. … Arabic science only reproduced the teachings received from Greek science. Before we proceed it is worth trying to define the period that this article covers and give an overall description to cover the mathematicians who contributed. The period we cover is easy to describe: it stretches from the end of the eighth century to about the middle of the fifteenth century. Giving a description to cover the mathematicians who contributed, however, is much harder. The works  and  are on “Islamic mathematics”, similar to  which uses the title the “Muslim contribution to mathematics”. Other authors try the description “Arabic mathematics”, see for example  and . However, certainly not all the mathematicians we wish to include were Muslims; some were Jews, some Christians, some of other faiths. Nor were all these mathematicians Arabs, but for convenience we will call our topic “Arab mathematics”. The regions from which the “Arab mathematicians” came was centred on Iran/Iraq but varied with military conquest during the period. At its greatest extent it stretched to the west through Turkey and North Africa to include most of Spain, and to the east as far as the borders of China. The background to the mathematical developments which began in Baghdad around 800 is not well understood. Certainly there was an important influence which came from the Hindu mathematicians whose earlier development of the decimal system and numerals was important. There began a remarkable period of mathematical progress with al-Khwarizmi‘s work and the translations of Greek texts. This period begins under the Caliph Harun al-Rashid, the fifth Caliph of the Abbasid dynasty, whose reign began in 786. He encouraged scholarship and the first translations of Greek texts into Arabic, such as Euclid‘s Elements by al-Hajjaj, were made during al-Rashid’s reign. The next Caliph, al-Ma’mun, encouraged learning even more strongly than his father al-Rashid, and he set up the House of Wisdom in Baghdad which became the centre for both the work of translating and of of research. Al-Kindi (born 801) and the three Banu Musa brothers worked there, as did the famous translator Hunayn ibn Ishaq. Of Euclid‘s works, the Elements, the Data, the Optics, the Phaenomena, and On Divisions were translated. Of Archimedes‘ works only two – Sphere and Cylinder and Measurement of the Circle – are known to have been translated, but these were sufficient to stimulate independent researches from the 9th to the 15th century. On the other hand, virtually all of Apollonius‘s works were translated, and of Diophantus and Menelaus one book each, the Arithmetica and the Sphaerica, respectively, were translated into Arabic. Finally, the translation of Ptolemy‘s Almagest furnished important astronomical material. Perhaps one of the most significant advances made by Arabic mathematics began at this time with the work of al-Khwarizmi, namely the beginnings of algebra. It is important to understand just how significant this new idea was. It was a revolutionary move away from the Greek concept of mathematics which was essentially geometry. Al-Khwarizmi‘s successors undertook a systematic application of arithmetic to algebra, algebra to arithmetic, both to trigonometry, algebra to the Euclidean theory of numbers, algebra to geometry, and geometry to algebra. This was how the creation of polynomial algebra, combinatorial analysis, numerical analysis, the numerical solution of equations, the new elementary theory of numbers, and the geometric construction of equations arose. Let us follow the development of algebra for a moment and look at al-Khwarizmi‘s successors. About forty years after al-Khwarizmi is the work of al-Mahani (born 820), who conceived the idea of reducing geometrical problems such as duplicating the cube to problems in algebra. Abu Kamil (born 850) forms an important link in the development of algebra between al-Khwarizmi and al-Karaji. Despite not using symbols, but writing powers of x in words, he had begun to understand what we would write in symbols as xn.xm = xm+n. Let us remark that symbols did not appear in Arabic mathematics until much later. Ibn al-Banna and al-Qalasadi used symbols in the 15th century and, although we do not know exactly when their use began, we know that symbols were used at least a century before this. … with operating on unknowns using all the arithmetical tools, in the same way as the arithmetician operates on the known. If the opportunity arises and I can succeed, I shall give all these fourteen forms with all their branches and cases, and how to distinguish whatever is possible or impossible so that a paper, containing elements which are greatly useful in this art will be prepared. … represents an essential contribution to another algebra which aimed to study curves by means of equations, thus inaugurating the beginning of algebraic geometry. Let us give other examples of the development of Arabic mathematics. Returning to the House of Wisdom in Baghdad in the 9th century, one mathematician who was educated there by the Banu Musa brothers was Thabit ibn Qurra(born 836). He made many contributions to mathematics, but let us consider for the moment consider his contributions to number theory. He discovered a beautiful theorem which allowed pairs of amicable numbers to be found, that is two numbers such that each is the sum of the proper divisors of the other. Al-Baghdadi (born 980) looked at a slight variant of Thabit ibn Qurra‘s theorem, while al-Haytham (born 965) seems to have been the first to attempt to classify all even perfect numbers (numbers equal to the sum of their proper divisors) as those of the form 2k-1(2k – 1) where 2k – 1 is prime. Al-Haytham, is also the first person that we know to state Wilson’s theorem, namely that if p is prime then 1+(p-1)! is divisible by p. It is unclear whether he knew how to prove this result. It is called Wilson’s theorem because of a comment made by Waring in 1770 that John Wilson had noticed the result. There is no evidence that John Wilson knew how to prove it and most certainly Waring did not. Lagrange gave the first proof in 1771 and it should be noticed that it is more than 750 years after al-Haytham before number theory surpasses this achievement of Arabic mathematics. Continuing the story of amicable numbers, from which we have taken a diversion, it is worth noting that they play a large role in Arabic mathematics. Al-Farisi (born 1260) gave a new proof of Thabit ibn Qurra‘s theorem, introducing important new ideas concerning factorisation and combinatorial methods. He also gave the pair of amicable numbers 17296, 18416 which have been attributed to Euler, but we know that these were known earlier than al-Farisi, perhaps even by Thabit ibn Qurra himself. Although outside our time range for Arabic mathematics in this article, it is worth noting that in the 17th century the Arabic mathematician Mohammed Baqir Yazdi gave the pair of amicable number 9,363,584 and 9,437,056 still many years before Euler‘s contribution. Let us turn to the different systems of counting which were in use around the 10th century in Arabic countries. There were three different types of arithmetic used around this period and, by the end of the 10th century, authors such as al-Baghdadi were writing texts comparing the three systems. … did not find application in business circles and among the population of the Eastern Caliphate for a long time. Hence he wrote his text using finger-reckoning arithmetic since this was the system used by the business community. The second of the three systems was the sexagesimal system, with numerals denoted by letters of the Arabic alphabet. It came originally from the Babylonians and was most frequently used by the Arabic mathematicians in astronomical work. The third system was the arithmetic of the Indian numerals and fractions with the decimal place-value system. The numerals used were taken over from India, but there was not a standard set of symbols. Different parts of the Arabic world used slightly different forms of the numerals. At first the Indian methods were used by the Arabs with a dust board. A dust board was needed because the methods required the moving of numbers around in the calculation and rubbing some out as the calculation proceeded. The dust board allowed this to be done in the same sort of way that one can use a blackboard, chalk and a blackboard eraser. However, al-Uqlidisi (born 920) showed how to modify the methods for pen and paper use. Al-Baghdadi also contributed to improvements in the decimal system. It was this third system of calculating which allowed most of the advances in numerical methods by the Arabs. It allowed the extraction of roots by mathematicians such as Abu’l-Wafa and Omar Khayyam (born 1048). The discovery of the binomial theorem for integer exponents by al-Karaji (born 953) was a major factor in the development of numerical analysis based on the decimal system. Al-Kashi (born 1380) contributed to the development of decimal fractions not only for approximating algebraic numbers, but also for real numbers such as π. His contribution to decimal fractions is so major that for many years he was considered as their inventor. Although not the first to do so, al-Kashi gave an algorithm for calculating nth roots which is a special case of the methods given many centuries later by Ruffini and Horner. 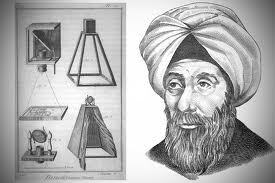 Although the Arabic mathematicians are most famed for their work on algebra, number theory and number systems, they also made considerable contributions to geometry, trigonometry and mathematical astronomy. Ibrahim ibn Sinan(born 908), who introduced a method of integration more general than that of Archimedes, and al-Quhi (born 940) were leading figures in a revival and continuation of Greek higher geometry in the Islamic world. These mathematicians, and in particular al-Haytham, studied optics and investigated the optical properties of mirrors made from conic sections. Omar Khayyam combined the use of trigonometry and approximation theory to provide methods of solving algebraic equations by geometrical means. Astronomy, time-keeping and geography provided other motivations for geometrical and trigonometrical research. For example Ibrahim ibn Sinan and his grandfather Thabit ibn Qurra both studied curves required in the construction of sundials. Abu’l-Wafa and Abu Nasr Mansur both applied spherical geometry to astronomy and also used formulas involving sin and tan. Al-Biruni (born 973) used the sin formula in both astronomy and in the calculation of longitudes and latitudes of many cities. Again both astronomy and geography motivated al-Biruni‘s extensive studies of projecting a hemisphere onto the plane. Thabit ibn Qurra undertook both theoretical and observational work in astronomy. Al-Battani (born 850) made accurate observations which allowed him to improve on Ptolemy‘s data for the sun and the moon. Nasir al-Din al-Tusi (born 1201), like many other Arabic mathematicians, based his theoretical astronomy on Ptolemy‘s work but al-Tusi made the most significant development of Ptolemy‘s model of the planetary system up to the development of the heliocentric model in the time of Copernicus. The astrolabe, whose mathematical theory is based on the stereographic projection of the sphere, was invented in late antiquity, but its extensive development in Islam made it the pocket watch of the medievals. In its original form, it required a different plate of horizon coordinates for each latitude, but in the 11th century the Spanish Muslim astronomer az-Zarqallu invented a single plate that worked for all latitudes. Slightly earlier, astronomers in the East had experimented with plane projections of the sphere, and al-Biruni invented such a projection that could be used to produce a map of a hemisphere. The culminating masterpiece was the astrolabe of the Syrian Ibn ash-Shatir (1305-75), a mathematical tool that could be used to solve all the standard problems of spherical astronomy in five different ways. A picture of the word Islam written in Arabic calligraphy. It is a common practice of Muslim scholars writing on some field of knowledge to define its basic terms. When it comes to Arabic words, this involves looking at their root meanings as well as their usage. This practice is certainly useful when seeking to understand Islam as a faith and way of life, as there are many things to learn from the very fact that it is so named. In this part, we shall explore two significant features of the name Islam, making special reference to how the Quran speaks of Islam and being a Muslim. We shall note that the word reflects the concept of peace, and that it is a name used right from the start. The root s-l-m, from which the word Islam derives, has the essential meaning of being free of any flaws or harmful things. Thus the derivatives of this root include“salamah” which indicates soundness and safety, and “salam” which means “peace”. The verb-form “islam” thus conveys entering into a state of peace and security. In short, this is what we refer to as “submission”. The active participle of the verb, that is, the word for “submitter”, is “muslim”. It may not be clear how important it is to look at the three-letter root of a word to understand its import, but this is something significant in the Arabic language. At the same time, it may seem like an exaggeration to state, as Muslims often do, that “Islam means peace”. Some critics point out that submission is not the same as peace, and some go further and suggest that submission is something undesirable. This verb form means the opposite of war (that is,peace) and is used here as an exact equivalent to saying “Islam”, according to commentators. This means that the religion of Islam is indeed called “peace”, just as it is called “submission” and numerous other secondary names. Islam is not only “a religion of peace”: it is the religion of life, which means that it provides guidance for all situations that arise in our troubled world. Yet even aggression is to be met with high virtues in the pursuit of peace. The goal is not to “make the world submit”, as some misunderstand, but to invite each soul to its own willful surrender to the Creator alone, not to any human force or worldly desire. This is the true source of inner and outer peace, and is the most liberating concept ever taught to humanity. As well as attention to linguistic roots, we also must differentiate between the general meanings of a word, and its technical meaning in context. This declaration is what entitles a person to be known as a (capital-M) Muslim, a member of the worldwide community of Islam. Of course, the Arabic language does not have capital letters, so what we really intend is to distinguish between submission as a religious ideal in general, and its usage as a proper noun — or what philosophers call its “reified” meaning. When we look at the numerous references to “Islam” in the Quran, some could be understood in both ways, but others clearly show that Allah has chosen this name for His religion and named those who follow it “Muslims” (submitters). God Almighty declares in the Quran that all of creation is submitted to Him and that He, being the only true Deity, is the One to Whom human submission is due. The “best religion” is to “submit one’s face to God and do good”. The same term appears frequently in the stories of the prophets, from which we shall mention a few examples. The patriarch Abraham (peace and blessings be upon him) is declared as having been neither Jewish nor Christian, but in fact “upright in religion, a Muslim” (Aal `Imran 3:67). When he was called upon to sacrifice his first-born son Ishmael, they both submitted to this Divine command, until God announced that they had passed the test. When building the Sacred Mosque in Makkah, they prayed together that God would raise up from their descendants “a Muslim nation” (Al-Baqarah 2:128). The prophets after Abraham are described as “those who submitted”, which of course does not deprive those before him of the same virtue. Prophet Jacob (peace be upon him) entrusted his children on his deathbed that they must follow the religion of their forefathers Abraham, Ishmael and Isaac (peace be upon them) and not die except as Muslims. The Pharaoh who opposed Moses (on whom be peace) vainly declared at the moment of death that he believed in the God of Israel and was “one of the Muslims” (Yunus 10:90). 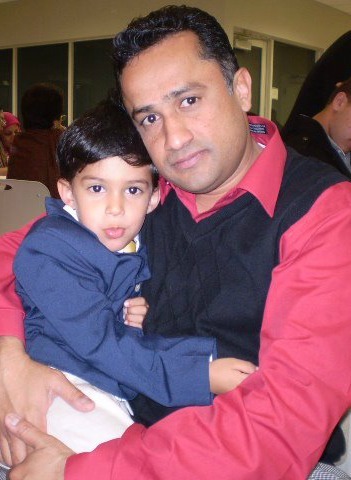 Sohaib Saeed is a Scottish Muslim writer and translator. After attaining a Masters degree in philosophy at theUniversity of Edinburgh, he is presently majoring in Quranic Studies at the Faculty of Theology, Al-Azhar University. More of his reflections are posted at Religious Diablog.